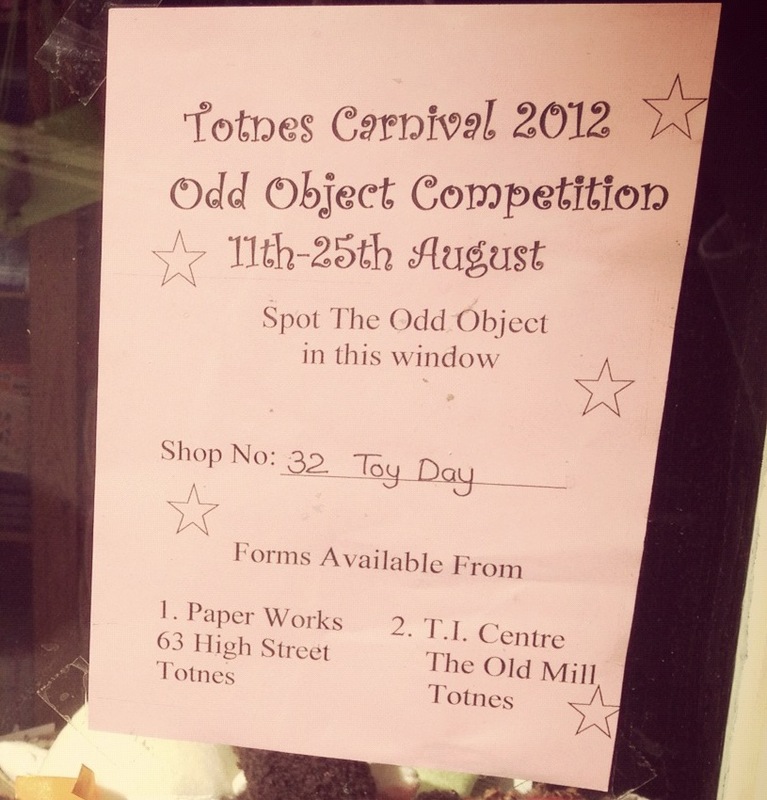 Totnes Carnival Week has now kicked off and Toyday are again taking part in the popular Odd Object Competition, which runs from 11th to 25th August. 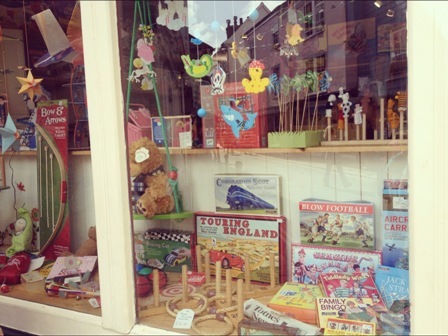 All you need to do is collect a form, visit all the shops listed and guess the odd object hiding in their window display. Over 100 shops took part last year and there are prizes and trophies to be won so this is a great activity for all the family. 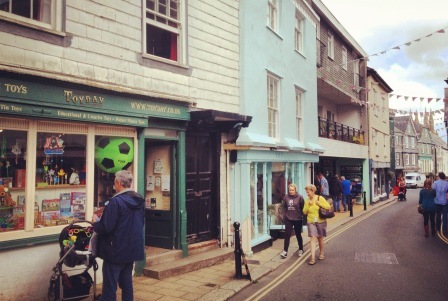 Entry fee is £1.00 and forms are available at the Totnes Information Cente and Paperworks, 63 High Street. This year our odd object is hidden amongst Emily's Woodland Window display. Can you spot it? If you can't see it in the photo then pop up before the 25th August and have a look. There are plenty of other events taking place this week including Sports Day in the Park on Wednesday 15th August 2 - 4 pm at Borough Park, Totnes and the Grand Procession from Follaton House to Totnes Plains on Saturday 18th August 4.45 - 6 pm.